Magnificent fairy twirls to the tune of "Waltz of the Flowers." 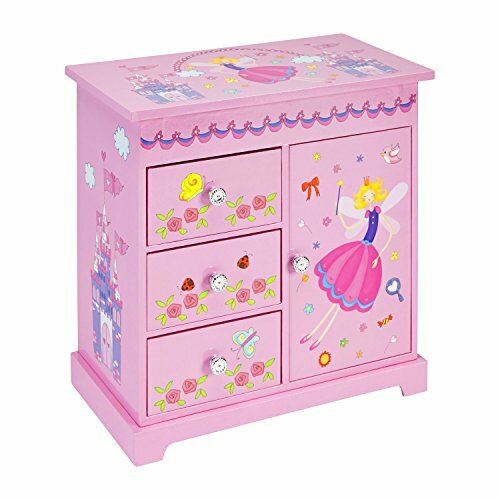 Interior lined in a soft pink fabric to safely store jewelry collection. Top Section divided into two sections. Left side houses 3 pullout drawers. Necklace carousel on the right side. 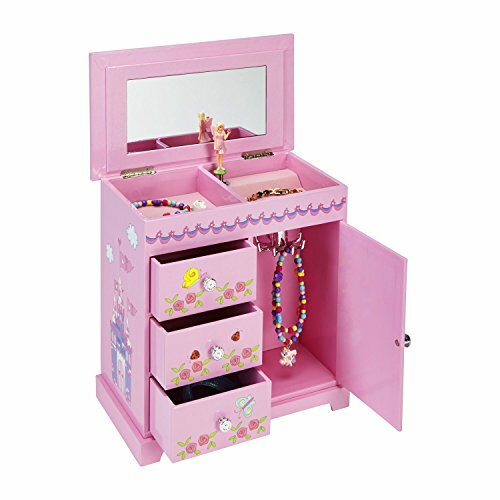 Ideal for storing girl's jewelry including bracelets, necklaces, and other precious keepsakes. Measures: 9.5 x 7.75 x 9.5 inches (L x W x H) when closed. Includes GIFT BOX for convenient gift giving. 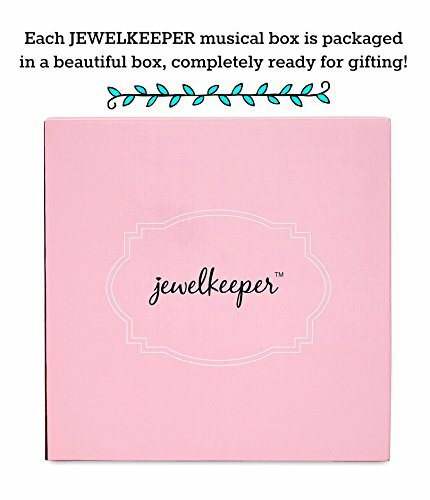 If you have any questions about this product by JewelKeeper, contact us by completing and submitting the form below. If you are looking for a specif part number, please include it with your message.